"Beautiful, new 4-bedroom 2 bath home with large Shasta pool for all your summer needs!! The home has an open floor plan and a long, luxurious hallway to display all your family pictures! It also boasts several upgrades including farmhouse style wood plank tile, white cabinets with upgraded crown molding, granite counter tops complimented with white subway tile backsplash in the kitchen, a large walk-in pantry, marble counter tops in the bathrooms, a soaking tub in the master suite, and a large m"
"Pride of Ownership. Home has a list of upgrades to share: New HVAC unit, 2 tone neutral paint throughout, wood shutters, blinds, custom drapery, updated lighting, custom cabinets in laundry room. Heated pool. Kitchen is fantastic! Granite countertops, mahogany cabinets (some with glass fronts), extended kitchen island with wood detail, double oven, upgraded pendant lighting, a walk in pantry. One bedroom and bathroom downstairs. Backyard is beautiful! Perfect for entertaining or just relaxing. E"
"Relaxing, resort style living in this 3 Bedroom, 2 Bath beauty built in 2015. Two bonus/flex rooms, one currently used for home office and the other a Media/TV room. 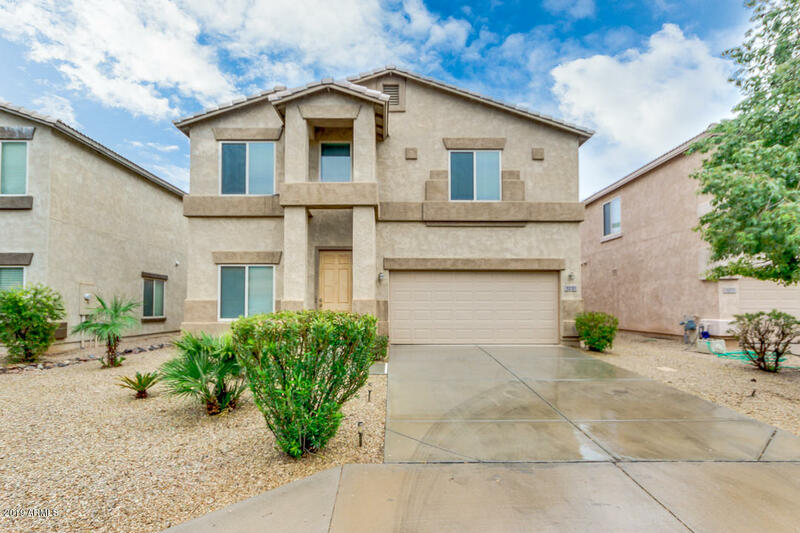 Upgraded 18'' tile flooring in all areas except bedrooms, granite countertops in the kitchen, and plantation shutters covering the windows, you must see this home to appreciate! 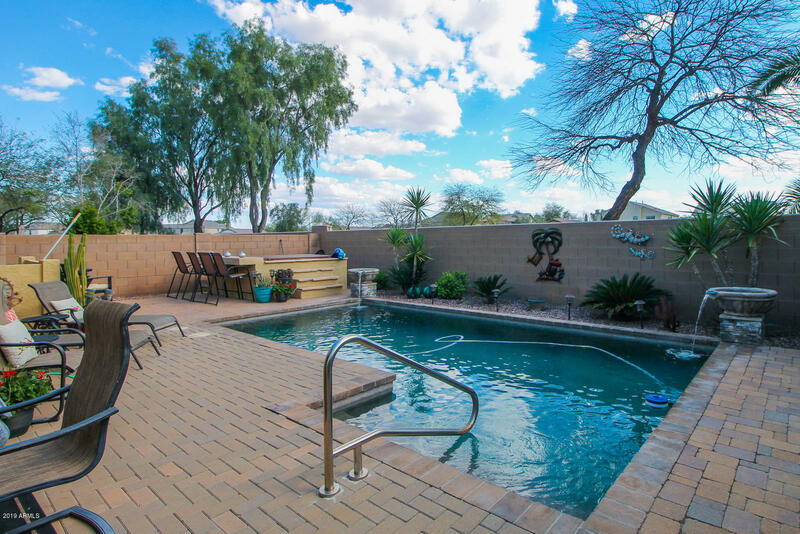 Low maintenance backyard includes a sparkling, heated pool w/in-floor cleaning system - both can be controlled remotely by App. 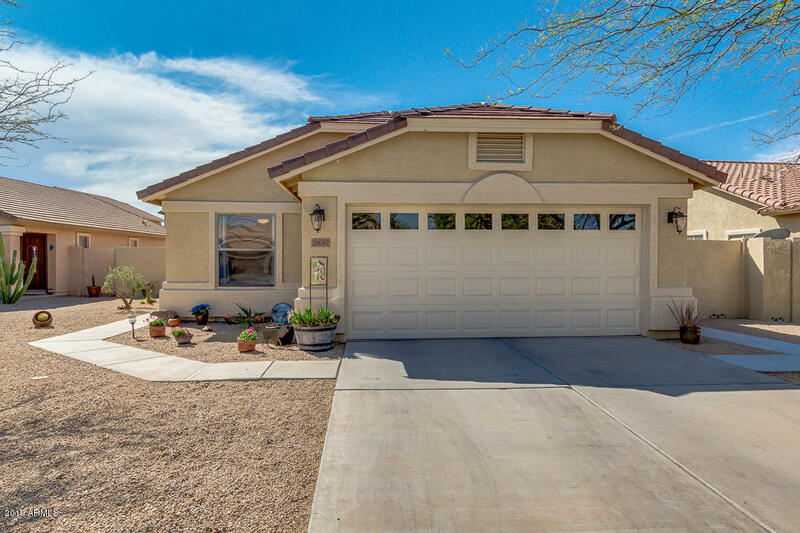 Quiet street with wonderful "
"Beautiful upgraded & updated single level 4 bedroom home on corner lot in Queen Creek close to dining , shopping, entertainment! 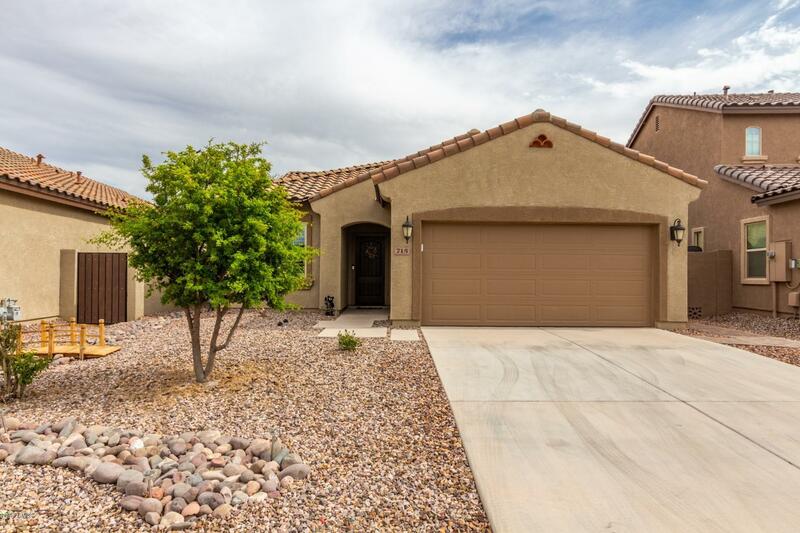 Granite slab kitchen counters, tile back splash, new stove, Oak Cabinets all the way to the ceiling lots of storage. 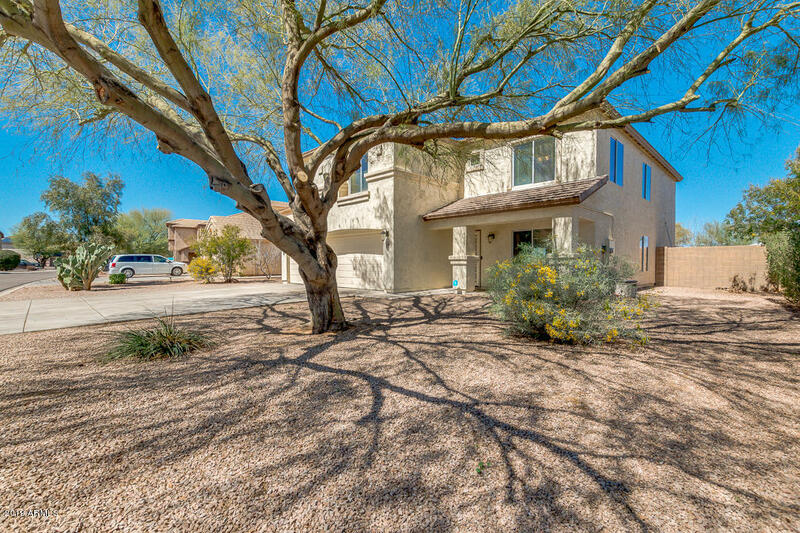 Opens to great room & dining area, formal living room, New tile & carpet in bedrooms 2-4. lights, fans in all bedrooms, New Anderson dual pane windows in Master bedroom & on south side, New 2018 fenced sparkling pool 15 x 30 with high efficiency pump, UV"
"Spacious open concept with plenty of room for the family and house guests. Beautiful wood tile in the common areas. Master retreat offers a large soaking tub, separate shower and dual vanity with a large walk-in closet. Kitchen open to family room includes plenty of storage and seating for entertaining. Covered patio extends the outdoor living space overlooking a private backyard oasis. Custom built-in bbq, pebbletec pool with water features." 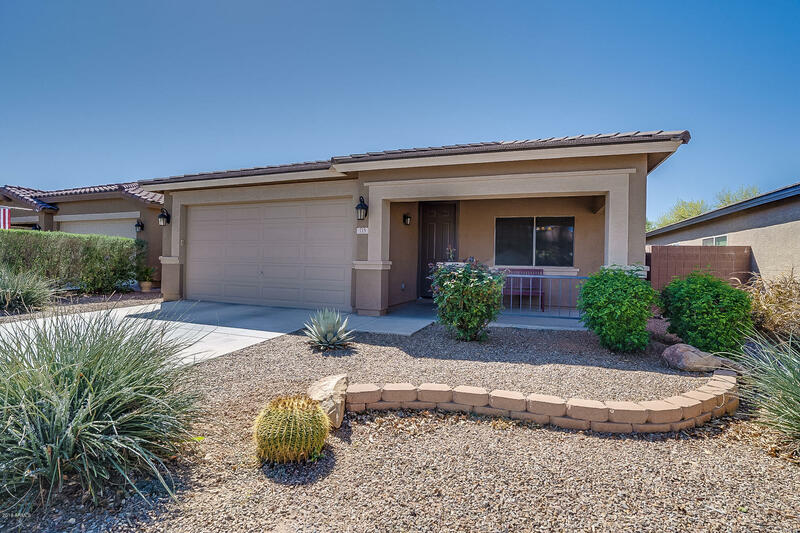 "Welcome to your New Home in The Villages at Queen Creek! This home has it all! A long, grand entrance with lush landscaping leads you into the foyer of this home. 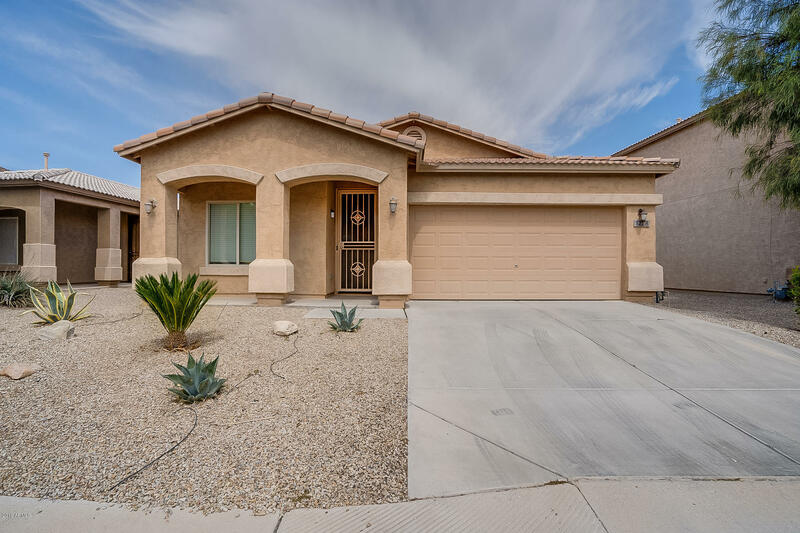 This home on Tierra Grande is a spacious single level open floorplan that has 3 bedrooms plus a den/flex room, 2 baths and over 1900 sq ft. You will love the kitchen with SS appliances, tiered bar area for extra seating/dining, and lots of storage space. Breakfast/dining area is just off the kitchen. The kitchen opens to the large grea"
"Pool & 3 Car Garage Move in ready! 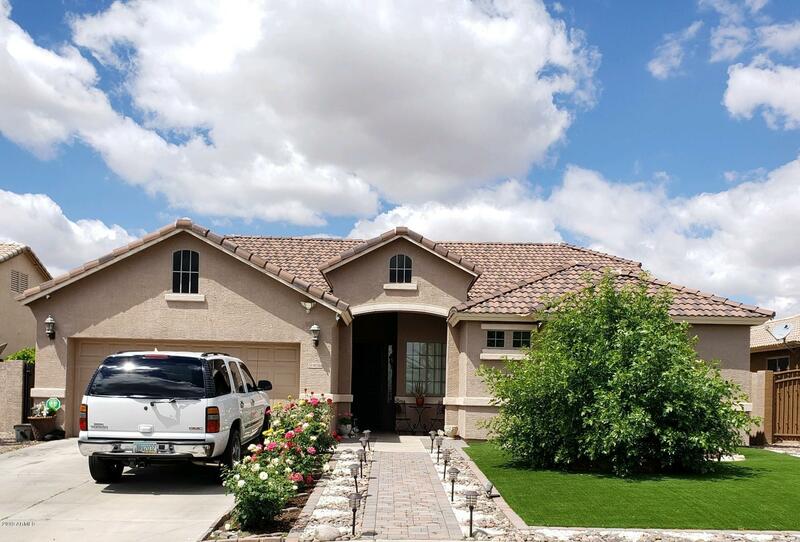 Spectacular home has 4 spacious bedrooms, 2.5 bathrooms, Separate living & family rooms and dining room (office) with tile in all the right areas. Kitchen offers tons of storage space in the upgraded cabinetry, roll out shelves, rare beautiful granite counter tops, kitchen island, and stainless steel appliances. Master bath suite boasts huge walk in closet, double sink vanity & separate garden tub & shower. Decorator touches throughout the home. 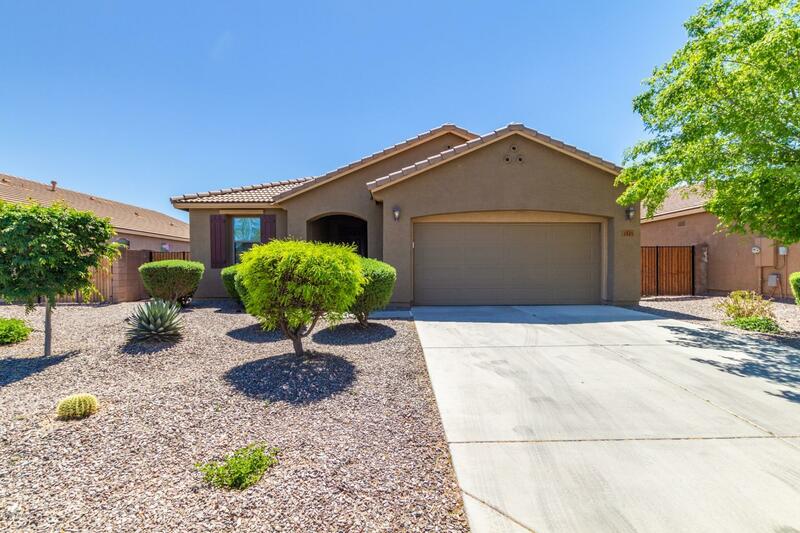 Outside enjoy y"
"Immaculate 4 bedroom, 2 bath, 2375 sq/ft home with den and pool in the San Tan Heights community of San Tan Valley. Upon entry you are welcomed into an open floor plan connecting the kitchen, dining, and family living areas. The kitchen features upgraded cabinetry, extended counter & storage space, island with seating, updated appliances, and eat-in dining. 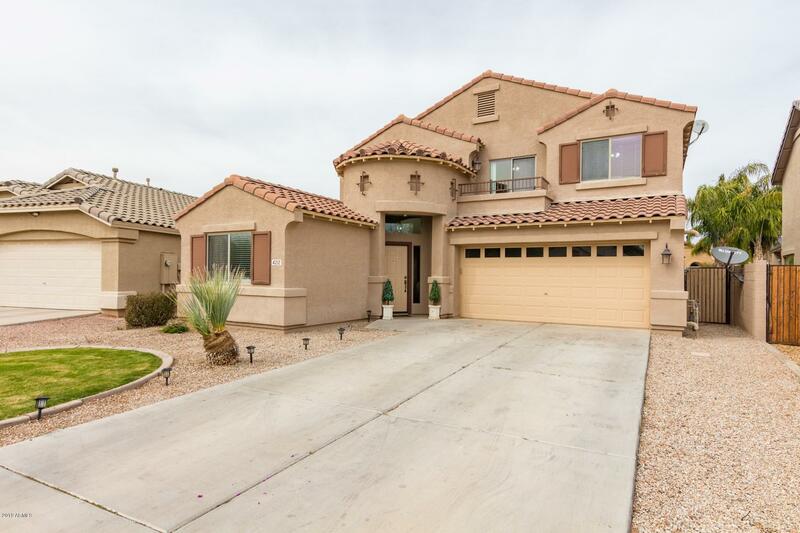 Split from the main living area is a large master suite with a spacious ensuite bath that includes separate tub/shower, dual vanities, and w"
"** SELLER OFFERING $5000 TOWARD YOUR BUYERS CLOSING COST** VERY MOTIVATED! You are going to love this stunning home with everything you can think of to offer. Separate living & family rooms, both very spacious. 4 large bedrooms (one downstairs) a loft, and 3 bathrooms. Your new kitchen offers granite counter tops, beautiful Hickory cabinetry with tons of storage space, pantry, island, and tile flooring. You'll love the cozy back yard with a sparkling swimming pool, covered patio, and easy to mai"
"Prepare to be amazed! 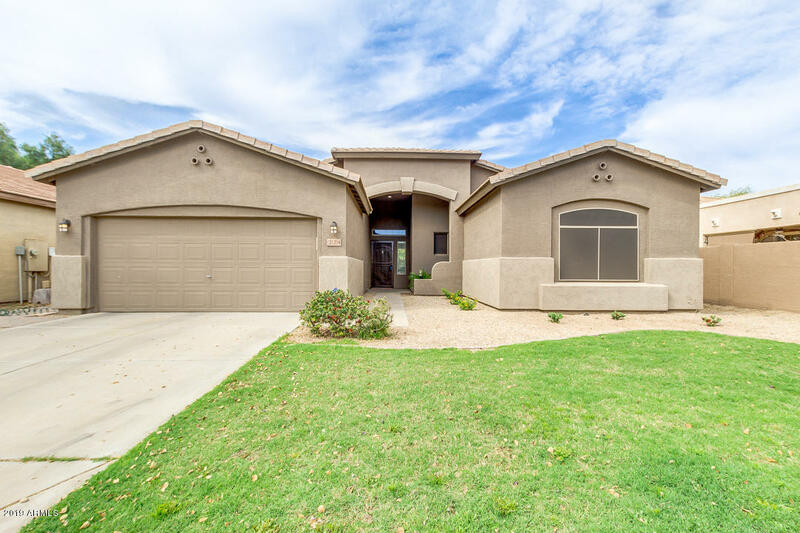 This 3769 sf open concept home in San Tan Valley is spacious! 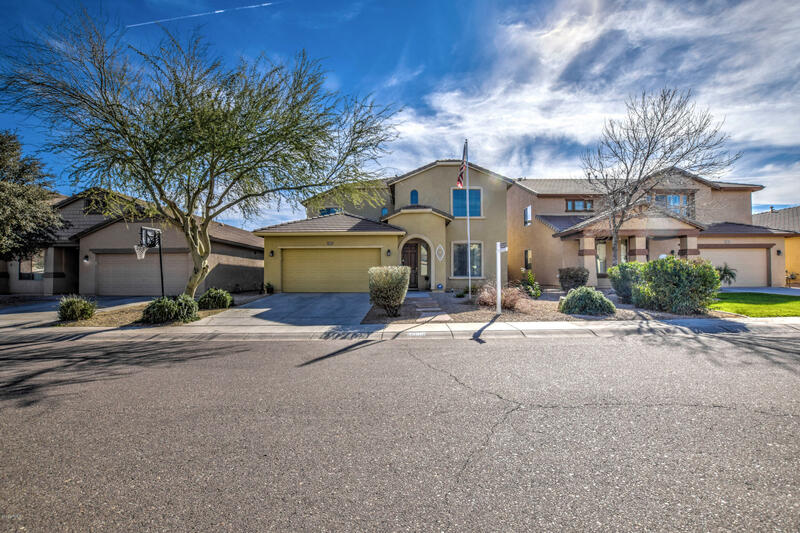 It features fresh interior paint, 5 bedrooms, 3 bathrooms, 3-car garage, living room/dining room, family room in the great room, an over-sized loft and swimming pool! The kitchen features ample cabinetry, breakfast bar/island, large pantry and stainless appliances.The spacious master suite has a large walk-in closet and separate tub & shower. The backyard boasts an RV gate entrance, shaded pergola and refreshing "
"Beautiful home in Circle Cross Ranch! 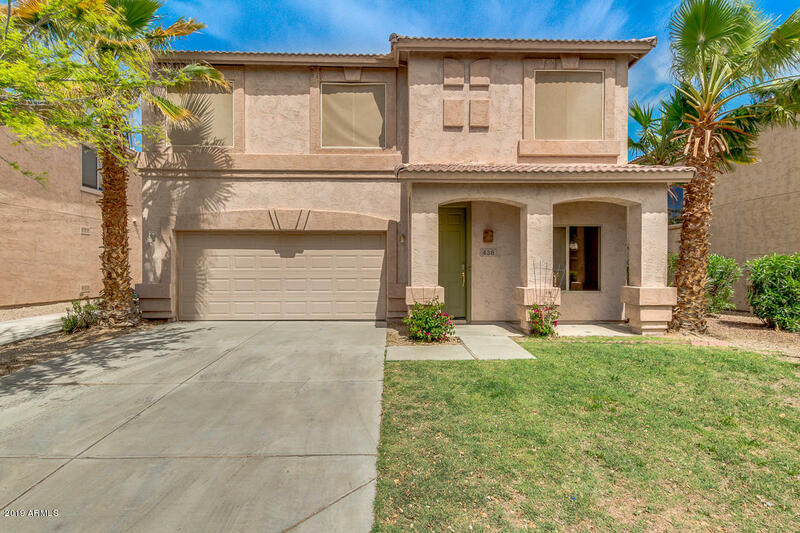 4 bedrooms + Den, 3 bathrooms with 2 master bedrooms! All appliances are included. Granite counters with decorative backsplash, pantry, island & lots of cabinets. Den/2 living spaces (possible 5th bedroom). Master bathroom remodel with tile walk in shower, rainfall shower head, new dual sink vanity. New plank tile flooring in master bed & bath. 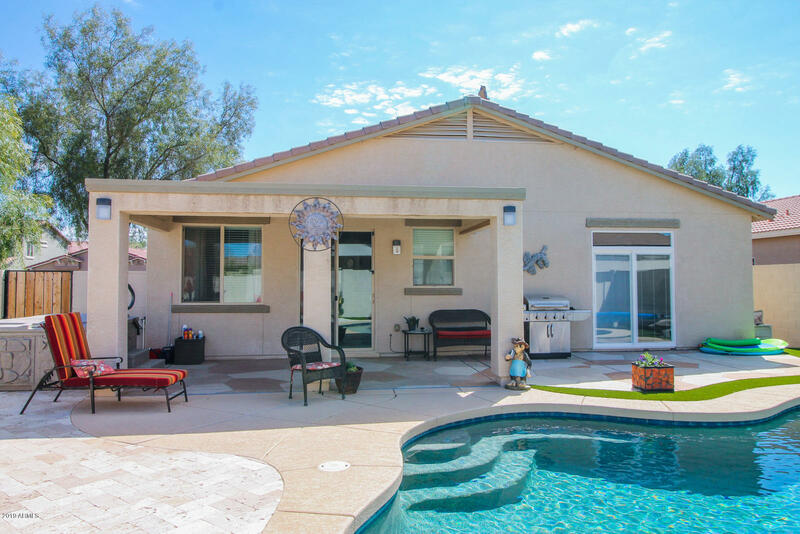 Enjoy the backyard living space for relaxation or to entertain - HEATED pool (new heater), hot tub with attached b"
"AMAZING home w/large living room/dining room combination. Next enter a spacious open family room, dining, & kitchen area. Kitchen boasts a chef's gas stove, beautiful granite, tile backsplash, shiny black appliances to compliment the granite, loads of cabinets for great storage & pendant lighting over the breakfast bar. Refrig. comes w/home. 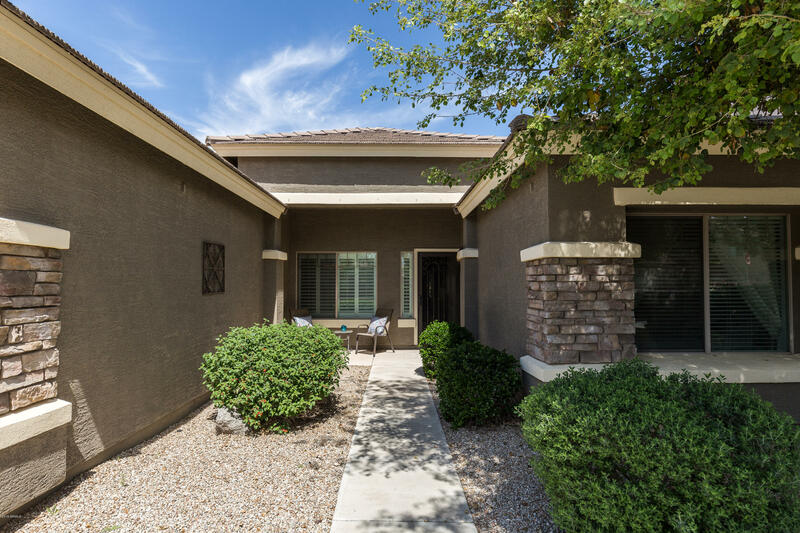 All living areas have beautiful tile w/new carpet in bedrooms & ceiling fans throughout. 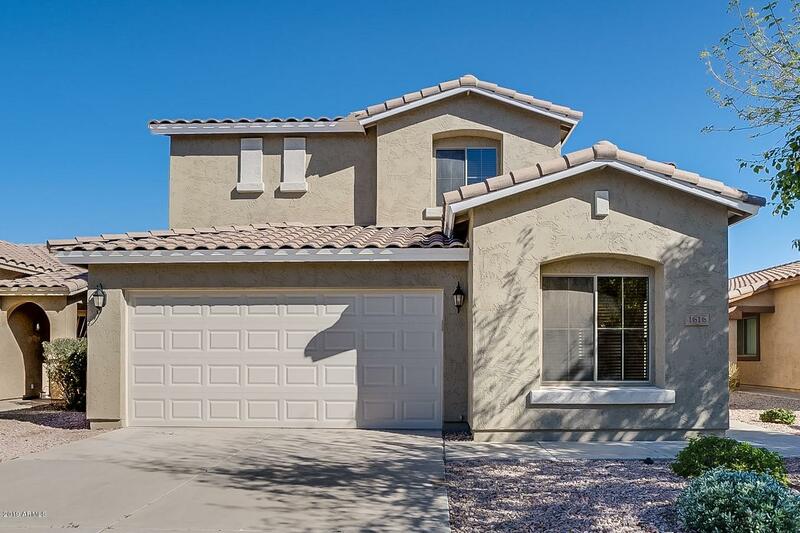 The Master Suite offers a separate shower & soaking tub, dual sinks"
"A spacious 5 bed, 3.5 bath home located in San Tan Valley. Throughout the floor plan, there is beautiful laminate flooring that enhances the living space. Each room basks in excellent natural lighting that carries nicely from room to room. Your eat-in kitchen has staggered wood cabinets, an island, and matching appliances! The master suite is spacious, providing excellent space for all of your belongings. Upstairs, the loft is a bonus living space that will be perfect for a game room or an at-ho"
"Exquisite & highly sought after single story, 2,262 sq ft, 3 bd. 2 ba, plus huge den/ office mini-estate nestled on huge 8,505 sq ft Cul-De Sac lot in the lovely Pecan Creek Subdivision. This open & spacious floor plan features a formal dining area, great room plantations shutters throughout, gourmet kitchen w/ upgraded staggered cabinetry, luxurious granite counter tops & back splash, pretty stainless steel appliances ideal for hosting dinner parties for your family & friends, The over-sized "
"This newly remodeled home with a resort like backyard you have to see! New pebble tec pool with build in seat and tile table for ultimate lounging, spa and flow over fountains give you a feel of total relaxation! Cool crete decking around the pool, built in BBQ, outdoor fan, TV and speakers. Granite counter tops in kitchen with SS double oven, refrigerator, built in microwave and new SS sink. Travertine floors in in the main living areas and master bed/bath. New gray wood look tile floors in ot"
"Welcome to your new home! 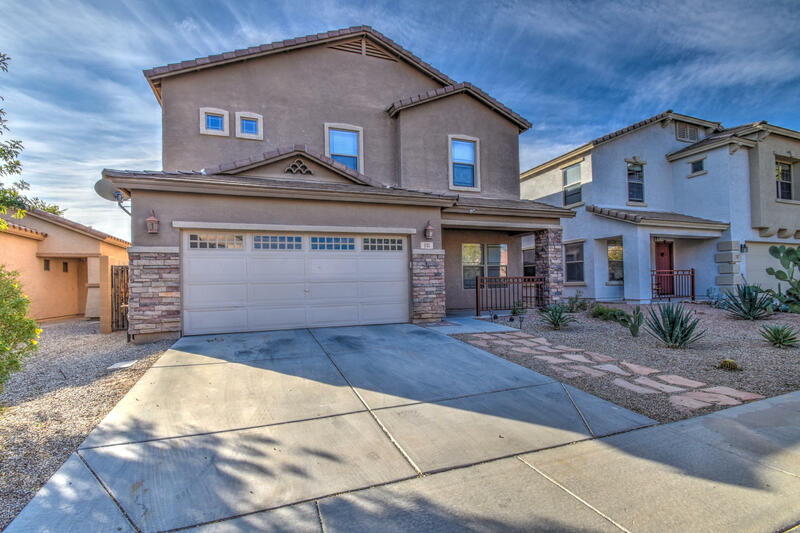 Nestled in the Circle Cross Ranch Community is a beautiful 4-bedroom home. Bright and open great room, tile flooring, great entertaining space, custom 2 tone color scheme, and an eat-in kitchen. Dark wood cabinetry, ss appliances, breakfast bar, spacious open kitchen, and double sinks complete this space. The laundry room is off the garage. Master ensuite has a walk in shower, separate tub, and private toilet room. Entertain friends on the putting green or cook on the "
"Great floorplan - 3 bedrooms + Den + separate flex space currently set up as office. Tile in all areas except bedrooms. 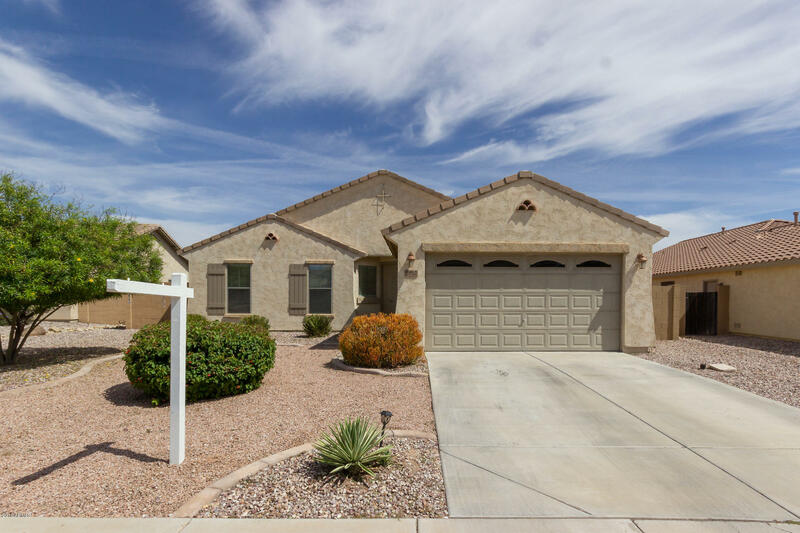 Granite counters, upgraded cabinets, high ceilings throughout home with ceiling fans added for your comfort. All appliances included! Sellers added exit from master bedroom out to pool area. Tankless hot water system. Convenient Jack & Jill guest bathroom. Easy care low maintenance backyard & pool area. Beautiful HEATED pool with waterfall feature. 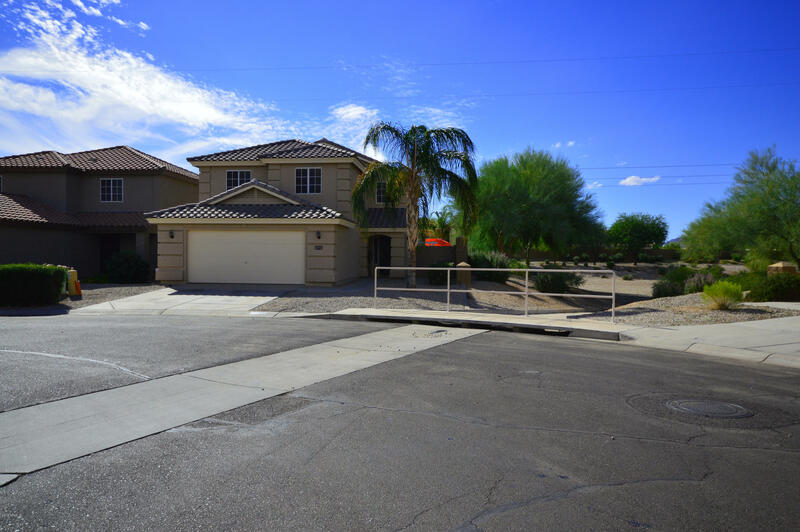 Lots of pavers + firepit, hot"
"This spacious 6 bed, 3 bath home is an entertainers dream! Buyers walk into a formal living room with soaring ceilings and gorgeous dark wood flooring. Next the open concept floor plan moves into a huge great room complete with a charming stone fireplace, large family area, and picture windows. The Chefs kitchen features SS appliances, large island/ breakfast bar, huge pantry, and beautiful dark wood cabinetry. 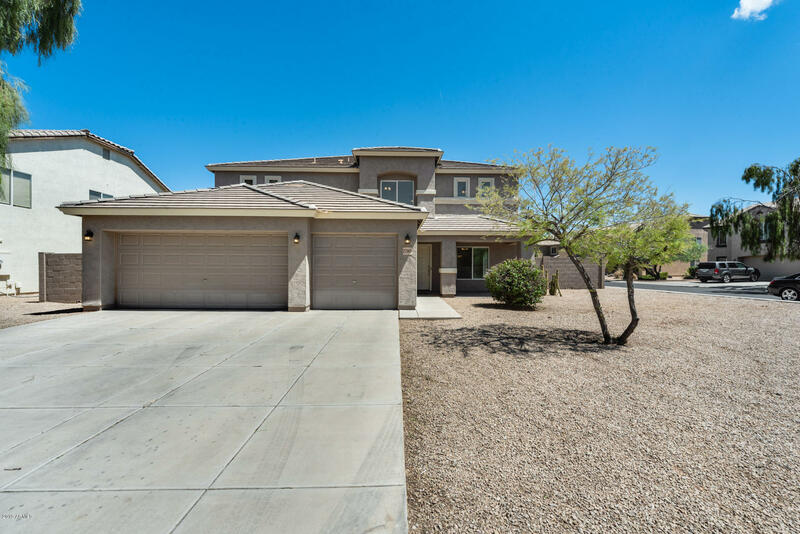 Upstairs the master retreat boasts a huge walk-in closet and private en-suite with du"
"This Queen Creek two-story offers an in-ground pool, granite kitchen countertops and a two-car garage. Upgraded features include fresh interior paint and new carpet in select rooms.Home comes with a 30-day buyback guarantee. Terms and conditions apply." "You'll love all this home has to offer! Formal Living/Dining Room with separate Family/Great Room off the Kitchen. From the Family Room gaze onto the Resort Style, Ultra Low Maintenance Backyard and Pool. Extended Covered Patio with Grill Pad along with a Pavered Open Patio means lots of room for entertaining and endless possibilities! Kitchen features a Bay window allowing for extra room for eating-in along with Granite Counters and Lots of Cabinets for Storage Galore. 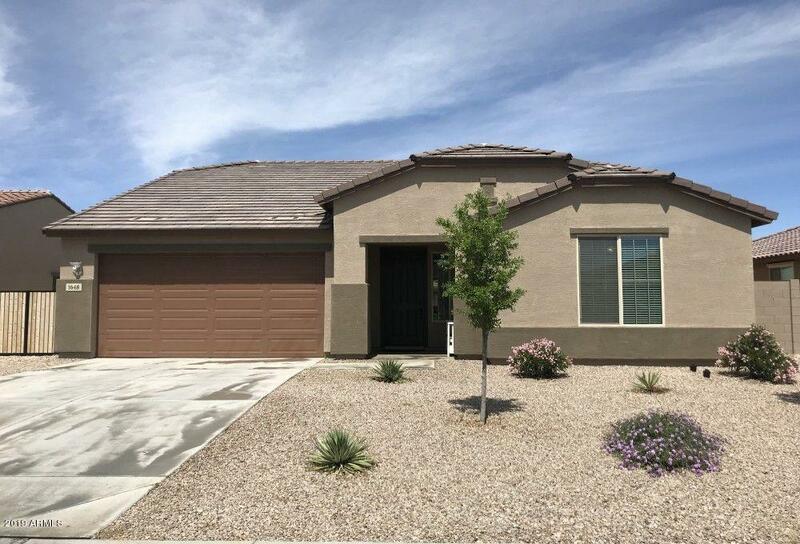 Oversized Master Bedro"
"Come see this 4 bedroom/ 2 bath, single story home in the popular Johnson Ranch that offers fresh paint and new carpeting throughout. The kitchen has stainless steel appliances, granite counters, and looks into the living room. The master boasts an attached ensuite with dual vanity and spacious walk-in closet. In the backyard, the covered patio open to a personal oasis with a play pool and low maintenance landscaping. Close to shopping, dining and Hunt Highway. Come view this home today!" 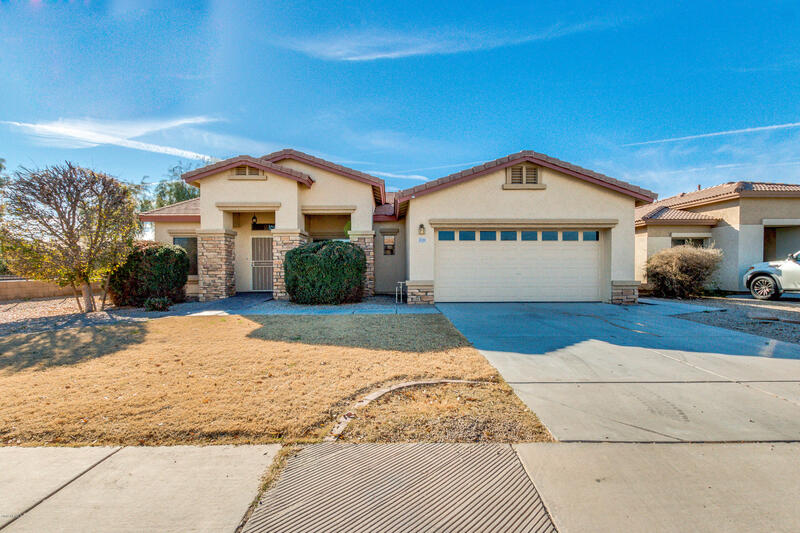 "Beautiful , cheery ,cozy , HOME is immaculate with vaulted ceilings. Features 3 bedroom split, plus den. Easily could be a 4th bedroom added. Master on one side other bedrooms on the other side. Large Great room, Convenient pass-through computer nook leads into the master bedroom located off the the kitchen. Gorgeous kitchen features soft close WHITE cabinetry with pull out drawers. Farm sink. Tile new hardware and Granite throughout kitchen and Bathrooms. Gorgeous kitchen soft close WHITE cabin"
"Come see this 4 bedroom/ 3 bath, two-story home in Pecan Creek North that offers fresh paint and lots of natural light throughout. The kitchen has ample counter space, black appliances, and looks into the large living room. The master boasts an attached ensuite with dual vanity, separate shower and tub, and spacious walk-in closet. In the backyard, the covered patio opens to a play pool and lots of space, perfect for pets or hosting friends and family. Close to shopping, dining, and the highway." 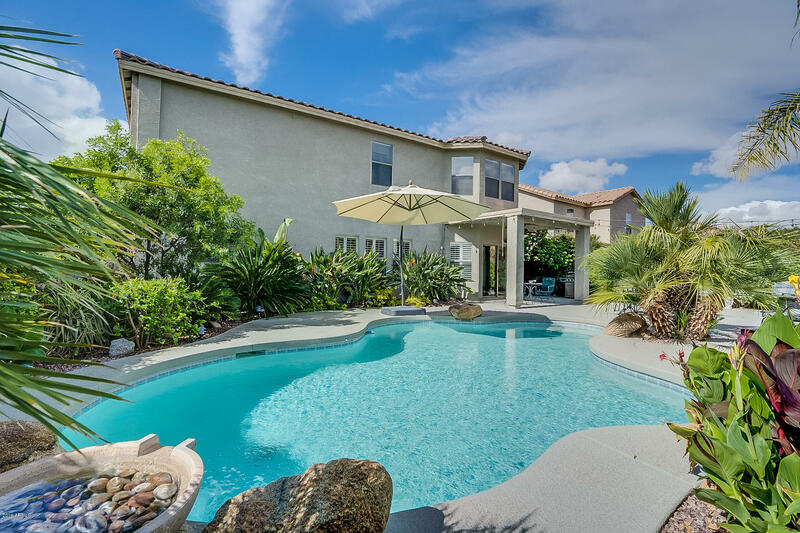 "AZ Dreams come true in this backyard 'cause it backs to sunsets & has only one neighbor for when you turn on the grotto pebble tech pool & shut the sunshades to bath in the sun and privately relax! Imagine having the living room downstairs for when family visits but an upstairs living room where you keep the comfy couches and bigger screen TV. There is bedroom downstairs next to bathroom for those overnight visitors, but an over-sized tub in the master to melt the worries away. Extra storage in "